Red, yellow stripes. Mild fragrance. Average diameter 3.5″. In small clusters bloom form. Bushy, upright. Medium, glossy, dark green foliage. 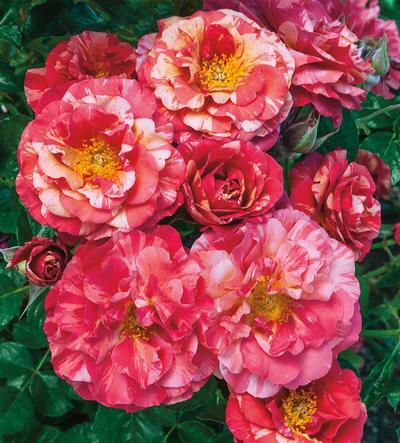 Introduced in United States by Weeks Wholesale Rose Grower, Inc. in 2018.